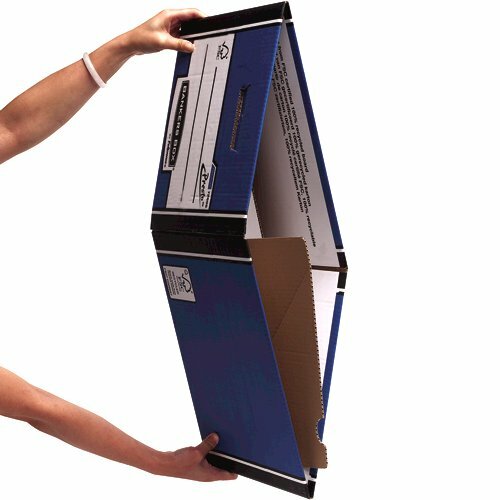 This environmentally friendly Fellowes premium storage box is made from 100% recycled board and is ideal for storing records and archiving documents. 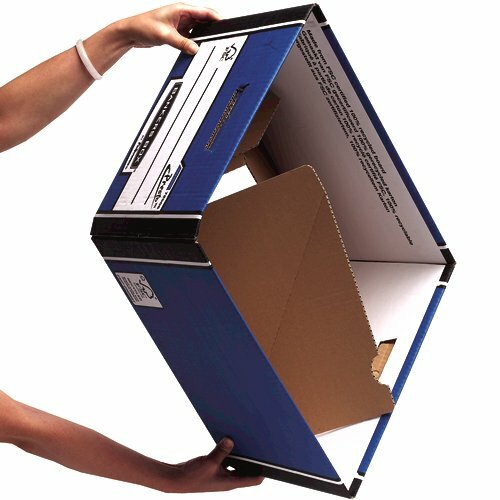 Featuring unique Presto Instant Assembly, this box sets up 16x faster than a manual box - simply push the corners together and the box is ready for use. 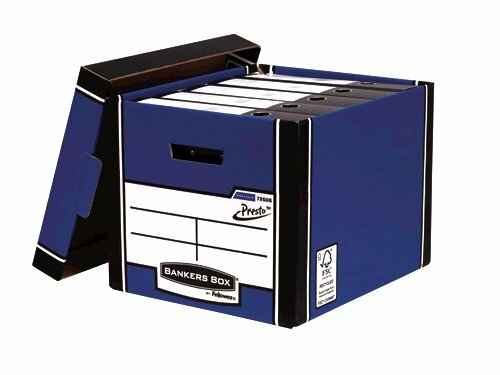 Up to 80% stronger than a standard storage box, this premium box features double ends, sides and base, for maximum stacking strength up to 6 high. 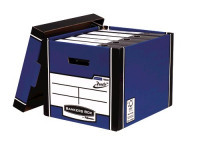 These corrugated cardboard storage boxes accommodate A4 and foolscap documents, folders, ring binders and Premium transfer files and are the perfect height for racking systems. 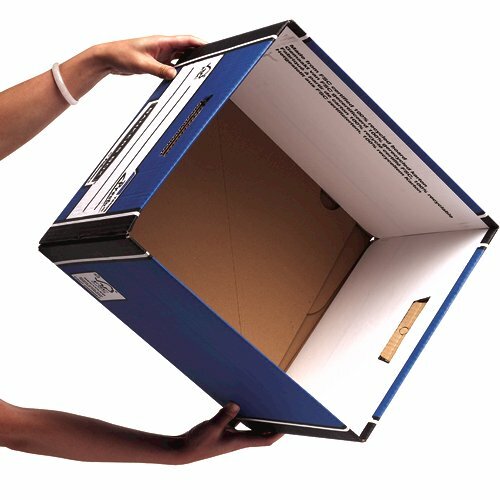 Each tall blue box measures W330 x D381 x H298mm. This pack contains 12 boxes.